The other week, we were invited to dine at Maxwell’s Restaurant (part of Maxwell Winery) in the McLaren Vale to celebrate their debut in the 2018 Australian Financial Review’s Top Restaurants Longlist. 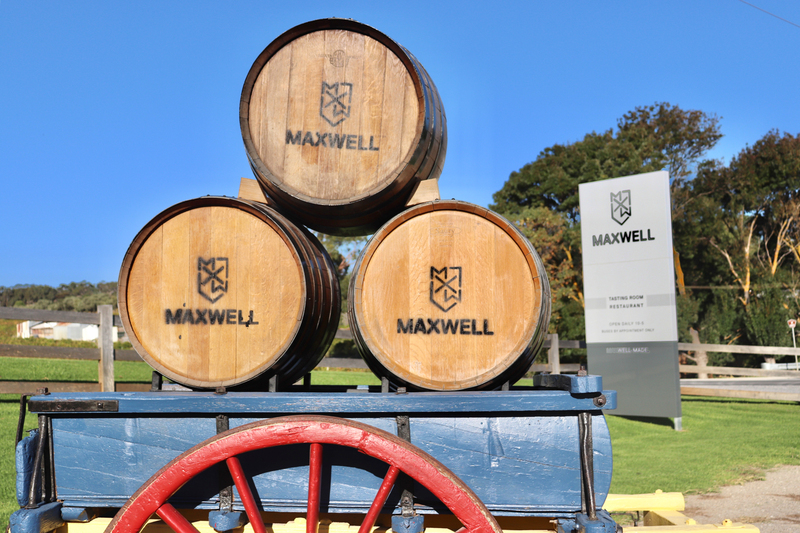 Maxwell Winery owner and winemaker, Mark Maxwell, introduced us to his restaurant, giving us a brief history of the place as well as how his vision for the restaurant has developed since establishing the winery back in 1979. “For years, I was serving quiche and salad, and then I had burgers and it was up and down and all over the place! It was only four years ago that I realised the only place to be is right at the top,” says Mark. And right at the top they were! We had the pleasure of experiencing their Maxwell-Dined four course degustation menu with accompanying wines, which included two entrées, a main, as well as a dessert. We were also very pleasantly surprised to receive chef’s complimentary starters of Crispy Beetroot Tarts and fresh Mushroom Scrolls made from mushrooms from Maxwell’s very own Lime Cave, which pulled apart with the gentlest touch and was perfectly accompanied by their house-made thyme butter. Our entrées started with Mussels served with dill and Granny Smith apple, paired with deliciously fruity 2017 Little Demon Verdelho. This dish was like a day at the beach, light and refreshing, with a myriad of textures. 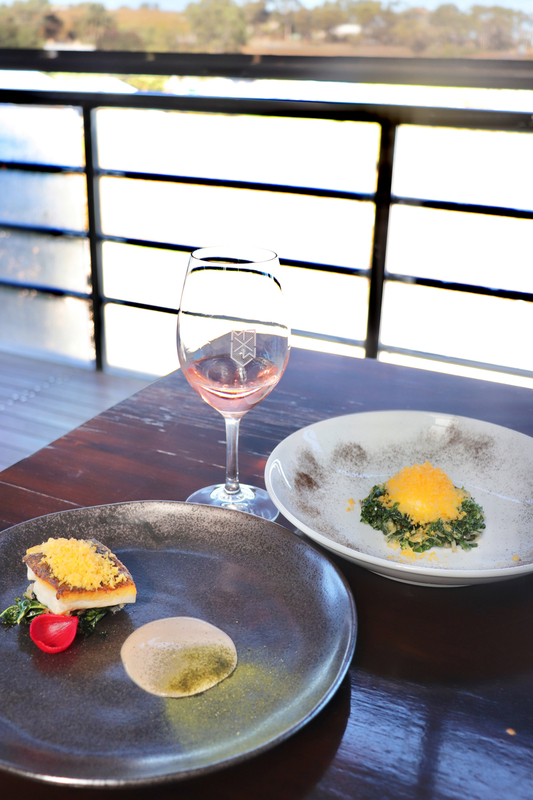 Second entrées were Sous Vide Pastured Egg served with consommé and spinach as well as Murray Gold Cod served with kale, pickled onion, and smoked yoghurt, paired with soft and subtle in flavour 2017 Where’s Molly Rosé. The first thing we noticed when the dishes came out was the waft of aroma from the Murray Gold Cod, which was perfectly cooked and seasoned, with a crispy skin. Both dishes were sprinkled with golden (and delicious!) cured egg yolk and both melted divinely in the mouth. In between entrées and main, we were given some peculiar cubes made from tomato, chilli, and parmesan, which were cold and refreshing (and particularly squishy, we must add!) – a great segway between meals. For mains, we had Beef Short Rib served with sweetcorn and chilli as well as Risotto served with beetroot, goat’s cheese, and lemon, paired with 2014 Eocene Ancient Earth Shiraz which featured elegant, chocolatey notes. The braised wagyu beef was lovely and tender on the inside and crispy on the outside and the dollop of goat’s cheese on the risotto was the perfect amount to complement, and not overpower, the subtler beetroot flavour. Finally, we finished with Pina Colada served with coconut and lime for dessert, paired with Maxwell Honey Mead which was pure fermented honey, fortified with brandy and indulged in aromatic spices – the perfect dessert liqueur. The dessert itself featured a multitude of different textures and flavours, all working well together to create the perfect end to the perfect dining experience. After our day trip to Maxwell’s, we can definitely say Mark’s finally made the right decision for the direction of his restaurant. The premium quality local ingredients marry very well with the vision of the Michelin Star restaurant trained Head Chef, Fabian Lehmann, and the results were astounding. “It’s really about colour-matching, flavour-matching, presentation, and freshness of food. We’ve got a herb garden now that they pick herbs out of three minutes before they serve something,” says Mark. 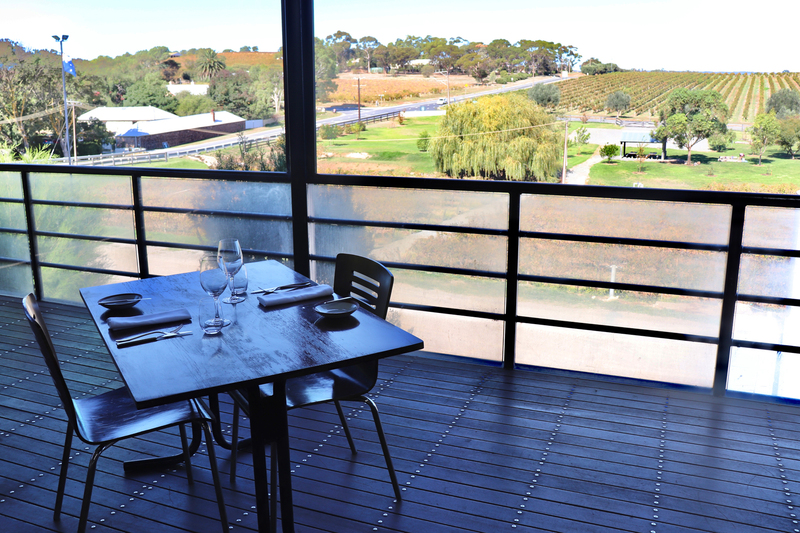 Maxwell’s Restaurant is located on Olivers Road in McLaren Vale and is open every day for lunch from 12pm.